So after a fairly dismal start to my crochet career I have gone back to the book and read and re-read the instructions for double crochet and you know what, I think I may have finally (just about) understood what I’m supposed to be doing! As you can see I’m having a few issues with the linking stitches at the sides and my work seems to curling up and twisting a bit – am I pulling too tight? The next step before moving on to a yarn that doesn’t look like the colour of something undesirable is to get my head around tripple crochet and half tripple, double tripple and whatever else there is to learn. MKDesign on Etsy suggested a good site for learning crochet stitches so I’m sure I’ll be giving it a read in the next few days. 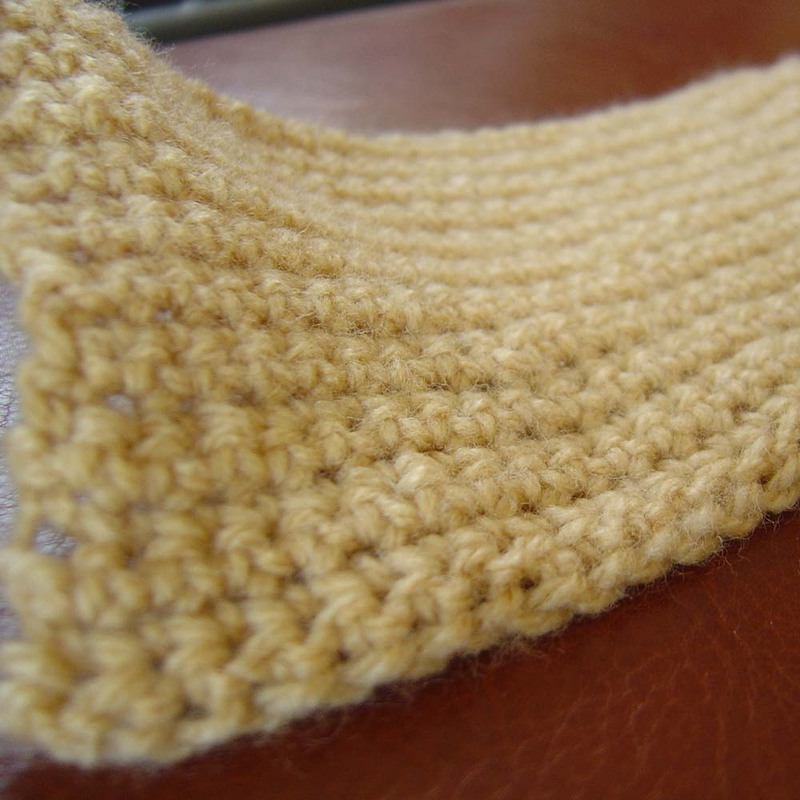 I may also take the advice of Charlotte Narunsky and get a bigger hook so I can see what I’m doing and maybe move onto a project, perhaps a scarf or two – just perfect for the summer….. It looks fine to me! Good luck with learning the other stitches 🙂 I can only double crochet, MIL taught me after much cursing by me on how to hold the hook :p I think it does start to curl when the yarn does get pulled too tight. I think your crocheting is coming on well, it certainly looks good to me!